CBRE’s Pacific Corporate Co-working Survey: The Future is Flexible report shows that over half (52%) of office tenants across New Zealand and Australia plan to reduce their use of traditional leased office space in the next two years. At the same time, 50% of those surveyed were planning to increase their use of co-working space and 82% were planning to utilise leased meeting or event space. The results of the survey highlighted a growing trend for large office tenants to move towards more flexible workspace solutions. 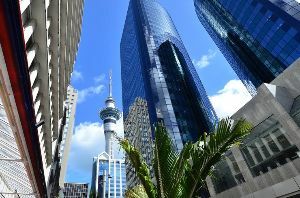 This trend was more pronounced in New Zealand with 39% of New Zealand office tenants considering flexible solutions for the future, as opposed to 32% in Australia. In the next two years, 47% of New Zealand office tenants plan to reduce their traditional leased office footprint space, while 47% are looking to increase co-working space use. That is as compared to 39% of companies that have no plans to adopt flexible workspace solutions. CBRE Research associate director Gergely Gaspardy says the uptake of flexible space will only accelerate as more corporates capitalise on the opportunity to have greater workplace flexibility. “Our relationship to work has changed entirely, underpinned by revolutionised working methods via advances in technology. Flexible space is no longer viewed as being the exclusive domain of entrepreneurial, start-up companies, he says. Further, reflecting the growing demand for flexible office solutions, the majority (53%) of office occupiers in New Zealand said they would prefer to be located in a building with a co-working centre. Demand for shared meeting and/or event space was high, with 81% of New Zealand office tenants saying they would choose to occupy a building that offered these facilities. This all makes for new opportunities for commercial landlords ready to adapt to the changing needs of office tenants. CBRE Pacific director of workplace strategy Nicole Fitzgerald says the survey findings show there is opportunity for landlords to provide a range of co-working space options to meet the different requirements of industry groups. “For landlords, the opportunity exists to adapt their existing office product to meeting the evolving needs of their tenants. “Flexible workspaces are becoming the point of reference for companies reassessing their commercial real estate requirements. Niche flexible workspaces are emerging and continue to experience rapid growth, she says. “These specialised offerings range from industry specific spaces and biolabs to workspaces for mothers. Ultimately, they appeal to groups who aren’t interested in traditional co-working offerings."